These beautiful flowering plants are often purchased as potted plants around Christmas. Transplanting the bulb from pot to garden or relocating plants in your garden is fairly easy. 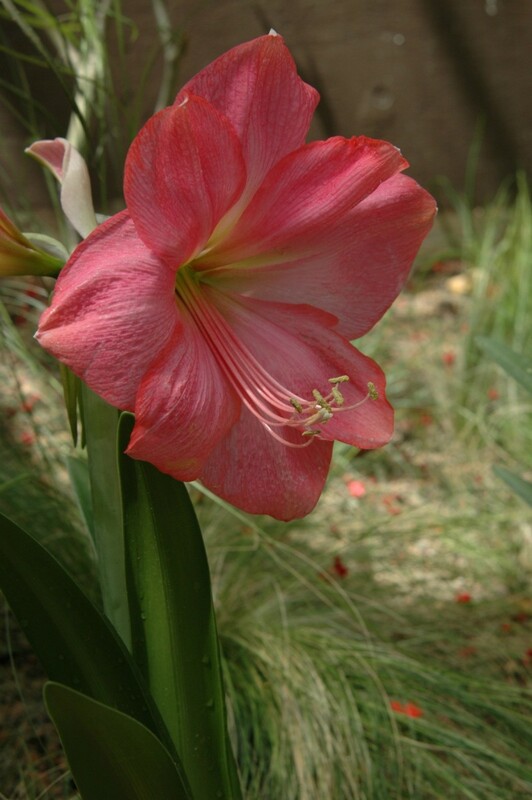 This is a guide about transplanting amaryllis. The house I moved into, on the mid west coast of FL had amaryllis already planted there. None bloomed last year, but this year I have lots of them blooming now (Apr. 2010) and want to transplant some to another spot in the yard and possibly bring one in the house without destroying the others that are there. When is the best time of year to do this and how do I do this? I don't want to lose these precious flowers. Any advise would be appreciated. Fall is an ideal time to divide (or transplant bareroot) crowded amaryllises. Bulbs with a ball of soil intact around the roots may be moved any time. If the bulbs must be cleaned and moved without soil, wrap the roots in wet newspaper to prevent drying and transplant shock. Plant them within two weeks. Good luck. Is May a good time to transfer an amaryllis from a pot to the outdoors? If so what is the best way to do this?